If the ideal of manhood involves reaching destinations or conquering heights, and is a constant process of becoming, women by contrast are expected to impress by their qualities of being, by beauty rather than intellect, by serenity rather than achievement. Well, I just finished reading “To The Lighthouse” by Virginia Wolf, and was inspired to read a bit about the author’s take on life and about her own struggle with finding an identity apart from the expectations of women in Victorian society. 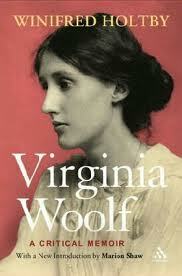 Writing the novel, was a way for Woolf to confront her own struggle with her identity as a woman. It was also semi-autobiographical, as her characters represented parts of herself and the key players in her life – particularly her mother. It seems Virginia Woolf’s mother was very much like Mrs. Ramsey, who is the archetype of Mother and whose role is to support and nurture her husband, children, and all those who fall into her circle. It is not an exaggeration that the life of the Mother as an archetype is dedicated to creating an atmosphere that restores, heals, supports growth, and provides the basis for the happiness and fulfillment of others, whatever the cost to the self. This expectation that women are designed to easily and willingly accept and embrace this role prevailed in Victorian times, as it has and continues to throughout history. It was considered the natural state of a natural woman to eventually become a wife and a mother and to support men to accomplish their greatness and fulfill their life purpose. Like the Madonna, this archetype offers compassion and unconditional love to others. “Women can’t write, women can’t paint.” He represents a prevailing mind-set that denies women’s capacity for achievement and self-realization outside of the role of mother. And, Woolf’s mother, like Mrs. Ramsey, embodied these qualities of the Madonna, or of perfect motherhood, and earned the devotion of her children and husband. Yet, the author found herself longing to take a different path from her mother, an inner-directed journey much like Lily Briscoe’s path, the female character in the novel who chooses to be single and is devoted to her art. Lily is Mrs. Ramsey’s opposite. Like Woolf, Lily loves the iconic Mother archetype in the form of Mrs. Ramsey, and in Woolf’s case as represented by her own mother, while at the same time, both Woolf and her fictional character, find aspects of this ideal of selflessness and willingness to cater to the demands of the male ego abhorrent. A modern woman often feels a similar pull of forces within her own psyche. Questions arise, “How do I juggle my career or my life’s passion with my desire to be a mother and a supportive partner to my husband?” Women may wonder if they can do justice to both worlds: can they follow their dreams to be artists, adventurers, writers, senators, and choose to marry? As women, we are still questioning who we are apart from the expectations of others. We wonder if we can “have it all” – if we can bring home the bacon and fry it up in a pan, have our cake and eat it too. And, do we really want it all – is society now telling us we should achieve like the classic male archetypes of doers and shakers? Are we after all missing out by neglecting home and hearth? Women in today’s world are aware they have choices and must consider the consequences of their decisions. They are seeking to understand their genuine wants and needs, and men too are continuing to re-evaluate their expectations and what it means to enter into a mutually supportive relationship as a unit of separate individuals with needs of their own. We are in the midst of evolution and exploration on our journeys toward self-realization.